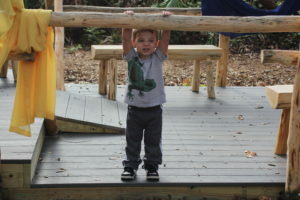 After seeing a Nature Explore Classroom in action at the US Fish and Wildlife National Conservation Training Center in West Virginia we wanted that as our playground. 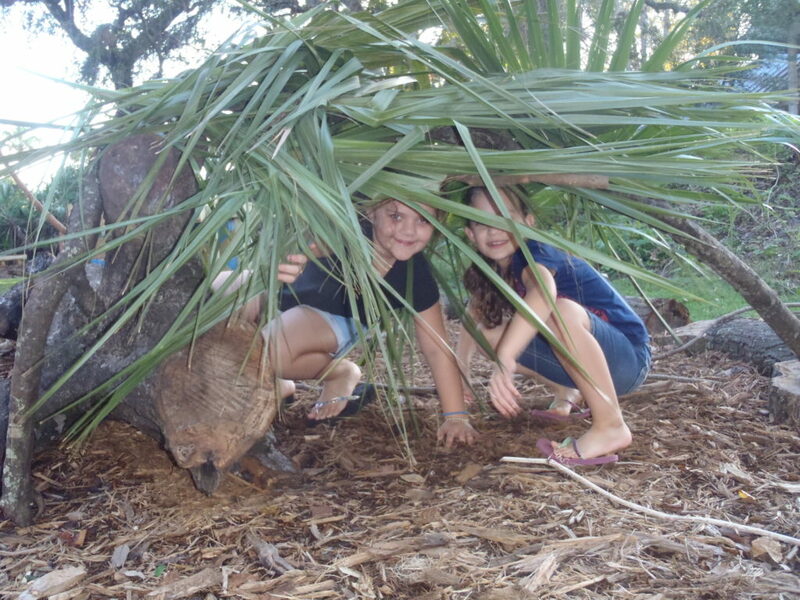 It became a reality with a $20,000 grant from the National Recreation and Park Association. 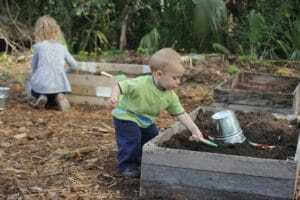 We leveraged additional funds through sponsorships from community partners and fundraisers that not only raised money for the space but created garden stones incorporated into the space. We were able to complete most of the construction using community help on just two volunteer work days. Volunteer groups included the Disney Cruise Line, Rotaract Club, and Florida Master Naturalist Program Space Coast Regional Chapter as well as other regular visitors from the community. 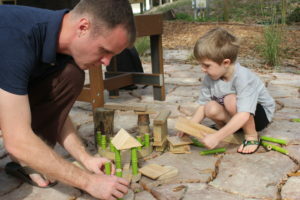 The space turned out amazing with the following comments from parents, “The opportunities for creative play is amazing. 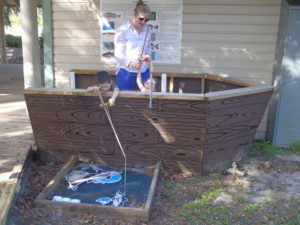 My boys LOVE the water pump, fishing boat with magnetic fish to catch, and instruments.” and “This is a staple in our weekly exploring.” In fact, when we first opened the area we had one family who visited every day for three weeks. The mother said the kids insisted that is the first thing they do after school. The space itself is set in between the trees of our nature preserve. The interactive play zones radiate around a central grassy area with an old tree stump as the focal point. 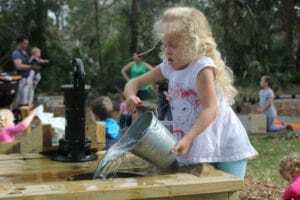 The water play area with a pitcher pump and trough system is the most popular area. We are able to fill it using rain barrels next to our buildings though that sometimes isn’t even enough water on busy days. It is also great to hear the music emanating from the area to know that kids (and adults) are enjoying themselves. 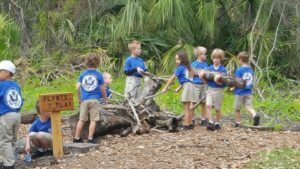 Only a couple of trees had to be removed to build the space and those trees were reincorporated back into the Nature Explore Classroom as tree cookies and logs designating borders and our entryway. 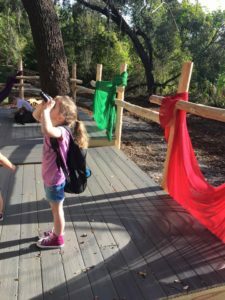 An old fallen tree in the area became the focal point of the Messy Materials area (dubbed Plants and Play) and we regularly incorporate branches and vines trimmed back from our boardwalk to add fresh elements to the area. 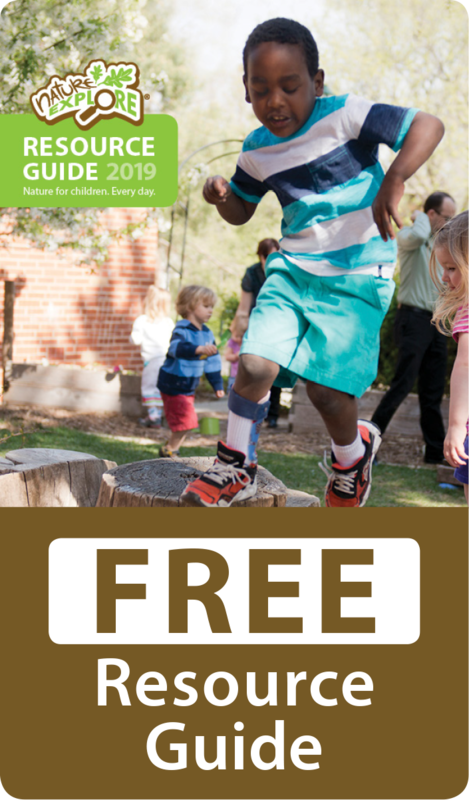 We would like to thank our sponsors, Atlantic Environmental Solutions, Brevard Zoo, Coastal Health Systems of Brevard, Conradina Chapter of the Native Plant Society, Maple Street Natives, Royalty Tree Service and The Viera Company for their financial support. We would also like to thank the National Recreation and Park Association for their Meet Me at the Park Grant. Additionally, a giant thank you goes to the community volunteers who brought the whole thing together in such short time. We are looking for new grants and sponsors to add to the area. We want to incorporate more musical instruments, a log tunnel, a giant log stump climb area, a ball and chute building system, and some larger log benches and chairs.